For everyone who plays Team Fortress 2 and is at least not a potato, it’s clear as day why Battle Medics are never a good idea. 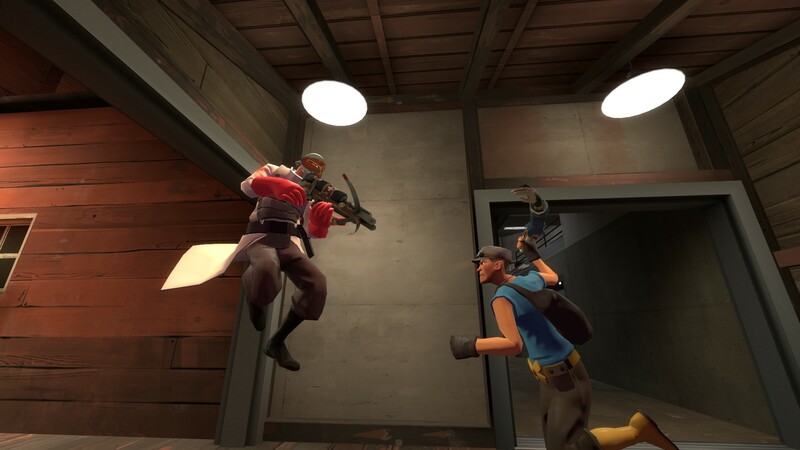 Although Medics have that little speed boost and regenerating health, their weaponry simply isn’t built for fighting. This, on top of a lack of heavy-class health and no true, reliable advanced mobility, is a recipe for disaster. Plus, it annoys your team mates, who are probably on fire right now. But just how bad is a Medic’s weaponry when it comes to fighting? Let’s start with the basics. We’ll concentrate on primary weapons, because Medi Guns obviously can’t do damage, and melee weapons are, well, melee weapons. 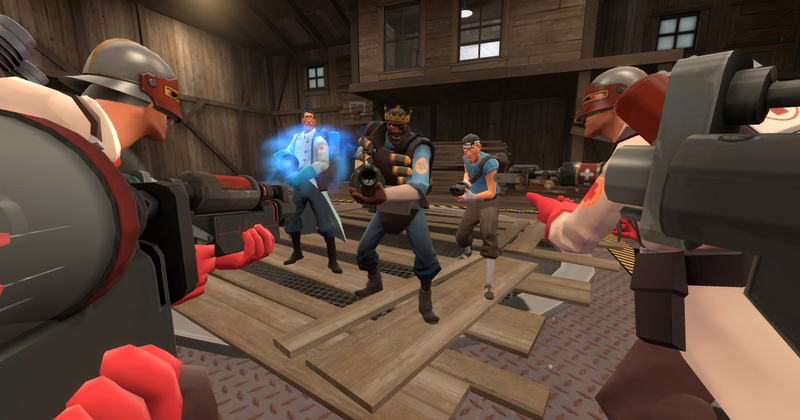 Only Demoknights and Pyros can really pull off melee-only combat, and even then, that’s due to unlocks. We’ll look at this by pitting an imaginary Battle Medic against the average Scout. So, we have three syringe guns and a crossbow. All four weapons are projectile-based, meaning you need to lead your targets. Three of these fire small, low-damage projectiles in a huge arc with limited range. None of these weapons do spectacular amounts of damage. Oh and the Crusader’s Crossbow has the nasty habit of healing allies if you hit them by accident. We’re not off to a good start, are we? Well, it’s going to get a lot worse. Let’s compare the stock Syringe Gun with weapons designed for actual killing. At medium range, the Syringe Gun does between 5 and 10 damage. To kill a Scout, you’d need to land at a bare minimum, 13 syringes. You’re probably better off firing your entire clip, as some syringes will miss, and others will only do minimum damage. Plus, Scouts are jittery buggers. Wait a minute. We’ve forgotten that a Scout should be fighting back. And said Scout would probably be using the Scattergun. If that Scout gets close to you, which he can do with ease, he can kill you in 2, maybe 3 shots. A bit further away and it takes a bit longer, but since he’s using a hitscan weapon, missing is less of an issue. Even if we consider the Crusader’s Crossbow, with its reverse ramp-up (meaning it does more damage or healing the further it travels), we still have a problem. The reload speed is still quite slow, and even with 56 damage at medium range, should you miss, you’re in for a world of hurt. And maybe death and respawning. Okay, it’s looking really bad. This is just the average Scout we’re talking about. It gets even worse with other classes. Even Engineers without their sentries are still a threat, as they have not one but two reliable hitscan weapons. The Pistol alone out-damages our syringe guns. Snipers? Okay, syringes beat SMG, but Snipers have high-powered rifles. Spies? Backstabs. You get the picture. After all that rambling, what have we learned? Nothing that we didn’t already know. Medics are simply not built for killing, and their primary form of defense is stupidly weak against pretty much everything else. So, what if you’re still desperate to kill people? My advice? Switch class. Trust me, the hurting is much more rewarding when you can reliably hurt people. ← The Solemn Vow – Saving Your Life At A Glance!